At the Davis Law Firm, we’re committed to bringing our clients quality representation in all aspects of business and insurance litigation. 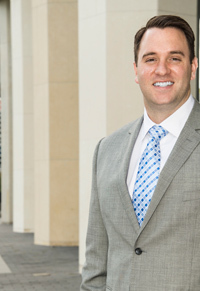 Mr. Davis formed this law firm to provide clients with big-firm experience, but a small-firm feel. From the moment we take your case, we do everything we can to get you the results you’re seeking and to keep you apprised of what’s happening with your case. Although we are located in Jacksonville, Florida, we handle cases throughout the entire state of Florida as well as Georgia. In fact, Mr. Davis is licensed to practice in every state and federal court in Florida and Georgia. 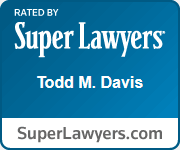 The Davis Law Firm was formed as a result of representing insurance companies for years. After several years of litigating on their behalf, we’ve “seen the light” and now we’re using our knowledge and experience to fight the insurance companies to get people and businesses the money they deserve. The firm was created to help policyholders, businesses, and individuals secure insurance coverage for their claim. While representing the insurance companies, we learned all of the tactics and methods that insurance companies use when handling and denying claims. So when it comes to insurance claims, we know all of the tricks and we know what to expect. We also represent businesses and individuals in a number of other practice areas, with an emphasis on business and commercial litigation. If you have business, financial, personal injury, or other civil issue, chances are that we can help. Our clients include everyone from major corporations, to individuals, small businesses, mid-size businesses, condominium associations, homeowners associations, construction companies, and everyone in between. If you are involved in a business dispute or are seeking insurance coverage for your claim, you’ve come to the right place. We represent clients statewide throughout Florida and Georgia, including Jacksonville, Miami, Pensacola, Orlando, Tampa, St. Petersburg, St. Augustine, Fort Myers, Daytona Beach, Panama City, Destin, Melbourne, Fort Lauderdale, West Palm Beach, Tallahassee, the Florida Keys, and everywhere in between.